Before I started writing this top 5, I checked the latest sales on eBay and gocollect.com and surprisingly (I was expecting NM98 to be in the first position), I noticed this book was sold for 3.5K. Low print run, cool cover and Campbell are the main guilty parties here. More a curiosity than anything else, at least it gives us an excuse not to have NM98 at the top position again. One of those weird cases where there's plenty of supply and yet the prices are still rising. Quite a horrible comic, but here we are, more than 20 years later, still talking about it. 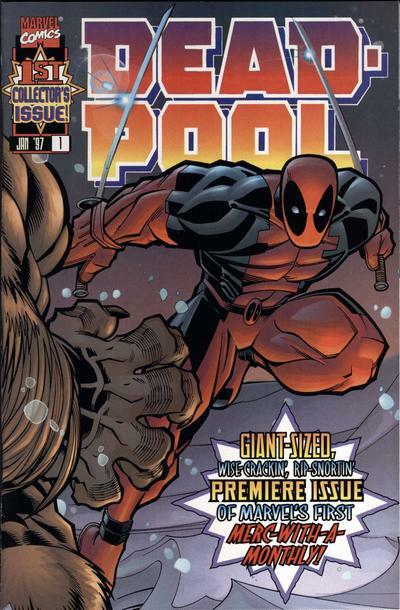 My favorite Deadpool run begins here, Joe Kelly and Ed McGuinness hit the ground running and give the merc with a mouth with some much needed characterization. Last issue of the series, extra thick comic and 1:100, there's not surprise this comic is still sought after. As a curiosity, it features the first comic work of Comedy Bang Bang's Scott Aukerman, which might help any version of this comic in the long run. 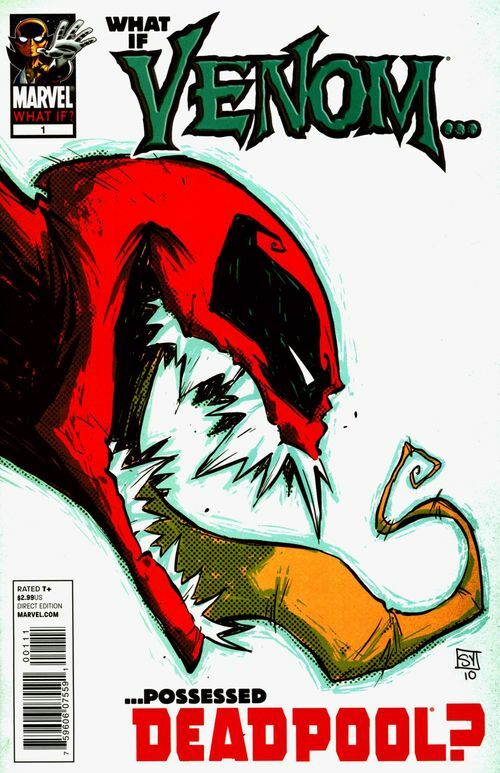 WHAT IF VENOM POSSESSED DEADPOOL? Originally published in 4 pieces as backup for WHAT IF? 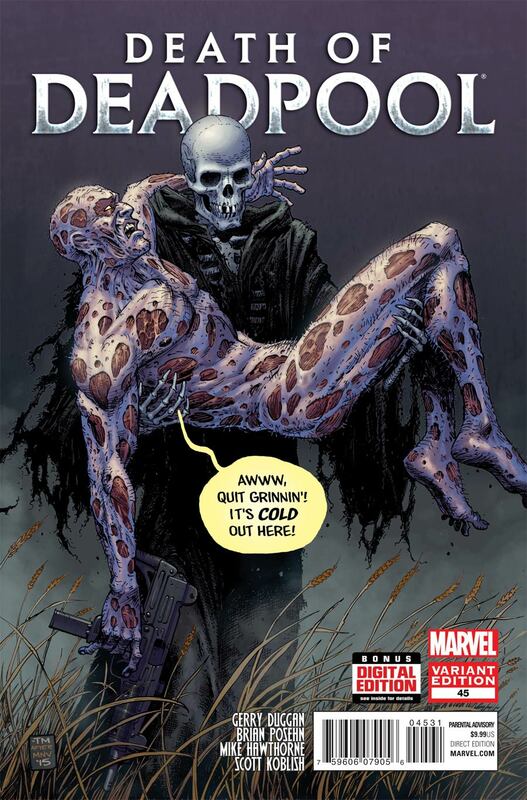 DARK REIGN — THE OSBORN ASSASSINATION, WHAT IF? WOLVERINE: FATHER, WHAT IF? 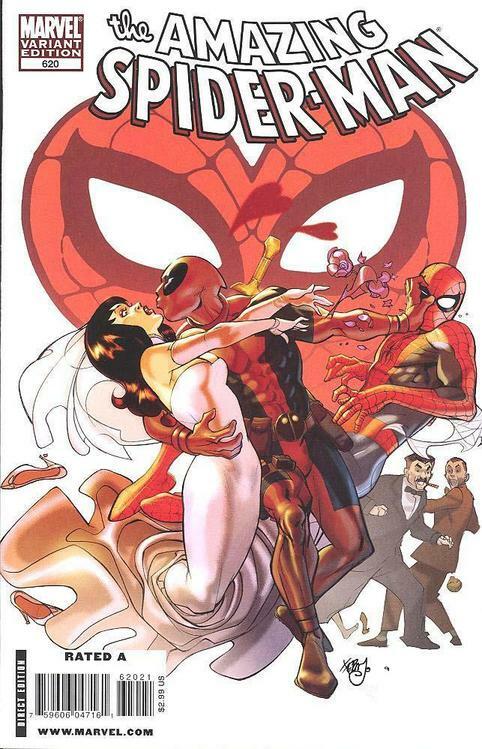 SPIDER-MAN and WHAT IF? IRON MAN: DEMON IN AN ARMOR, this issue has a really low print number (17,609) for such a pair of characters. 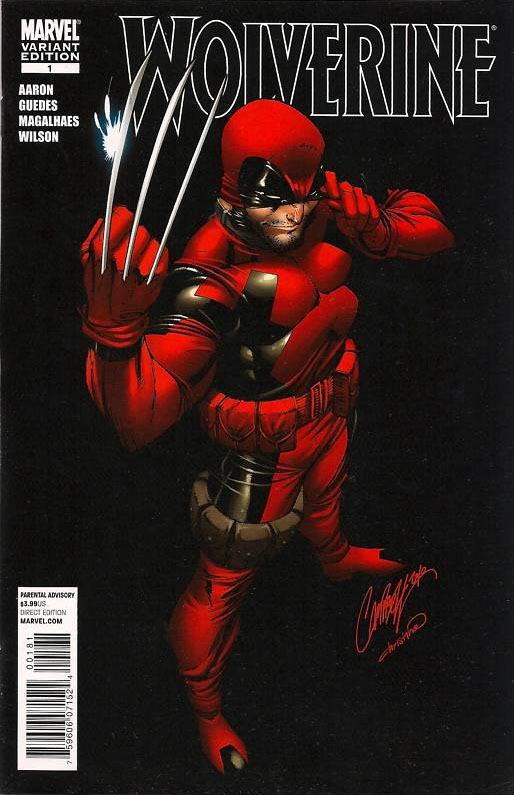 Strangely enough WOLVERINE / DEADPOOL: THE DECOY has a print run of 19,025 but gets nowhere near the interest. This book has been doing very well for a while, but the world of ASM variants is mysterious to the uninitiated. Plenty of people collecting everything Spider-Man and there are only 4K of these out there. Thanks for the list! Never heard of The Decoy. 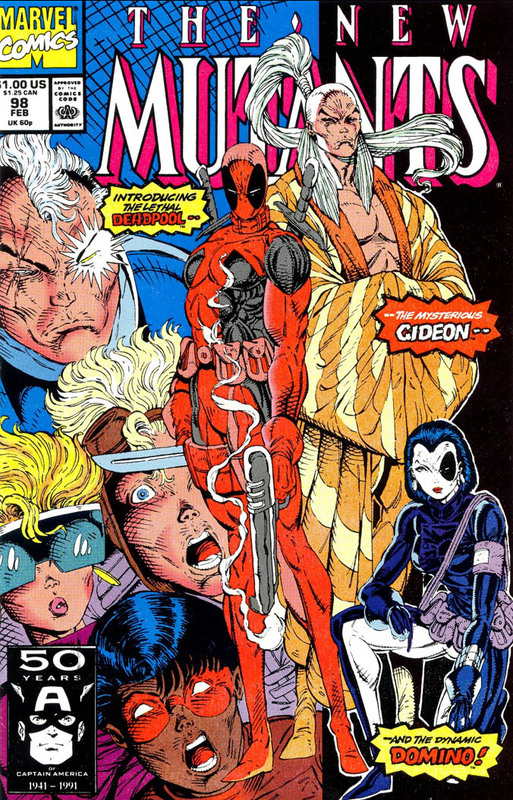 Deadpool’s characterization reminds me of Jim Carey’s “The Mask”. Although some of his comics can be enjoyable he mostly comes off very annoying. Even more so that so many people love him. Any way I have had incredible luck with his 1st app. I found my 1st copy in a dollar bin about 12 years ago in captain Lou’s comics in Charleston,SC. The other I got in a set of complete run of New Mutants for $100. Not bad huh? “The Decoy” is a mystery to me. It is pretty hard to find. 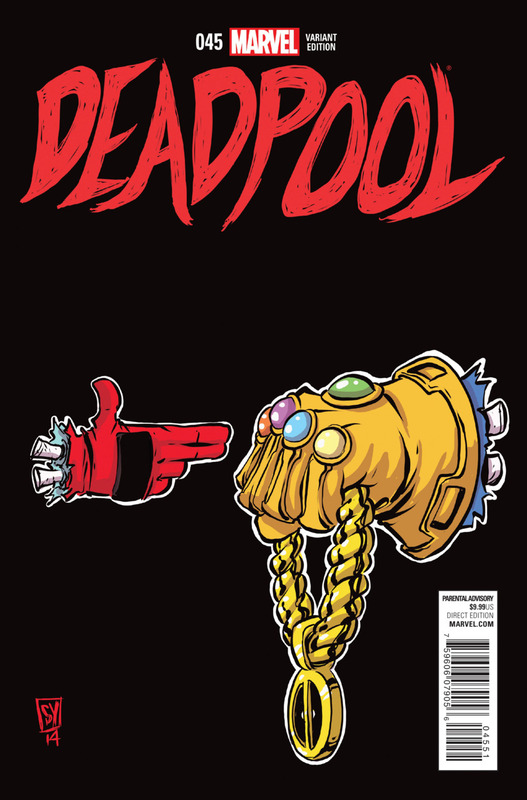 Wolverine & Deadpool with a Skottie Young (non baby) cover. Squirrel girl appearance and cool, funny cover.